Hi everyone and welcome to Thoughts of Home on Thursday. 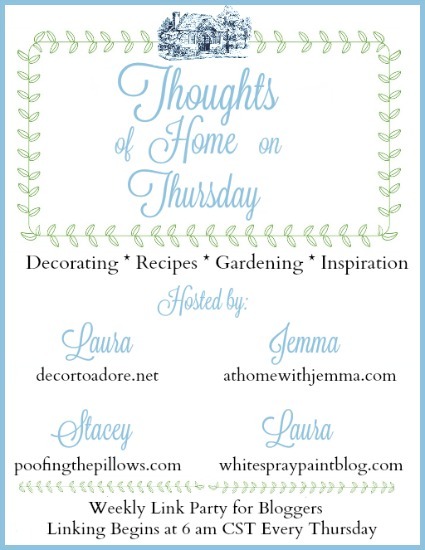 Our host this week is Laura from White Spray Paint. Each week we- your TOHOT hosts -appreciate the invitation into your homes, showing us your latest project, sharing your favorite recipe, or taking us on a walk through your garden. Now to this week's features. Sarah of Hyacinths for the Soul treats us to another of her thoughtful, beautifully elegant posts in Inspiration From My Mother. 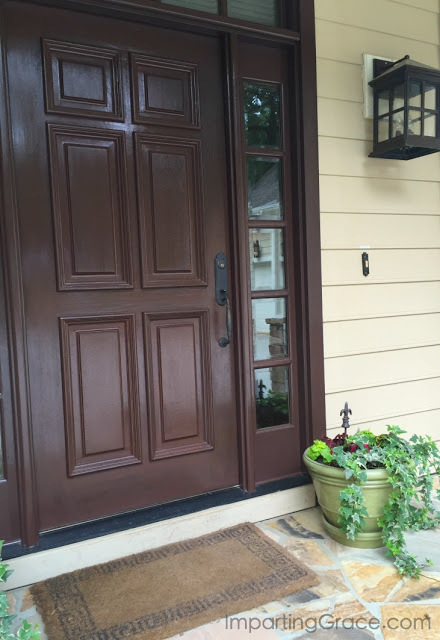 Richella of Imparting Grace in her post The Evolving Door reminds us how the beauty we strive to create in our home is really all about living. Zan of Flourishing at Home does wonderful DIY projects. 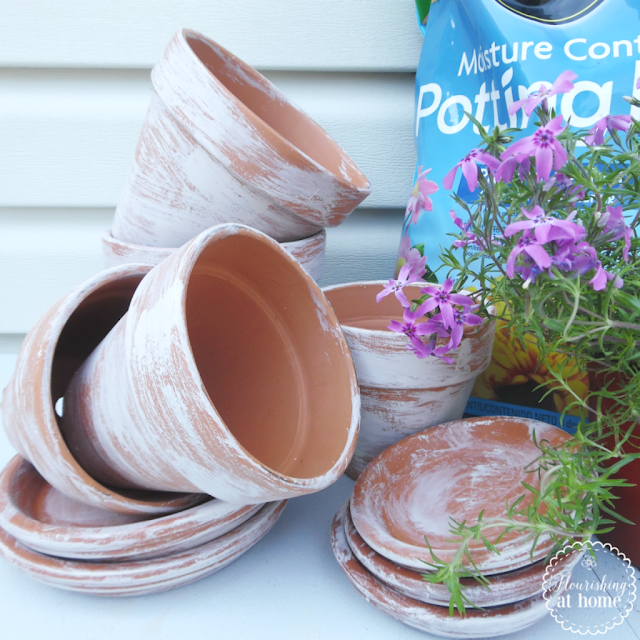 These painted terracotta pots are just one of many. Wait until you see Terry's garden. It is stunning. 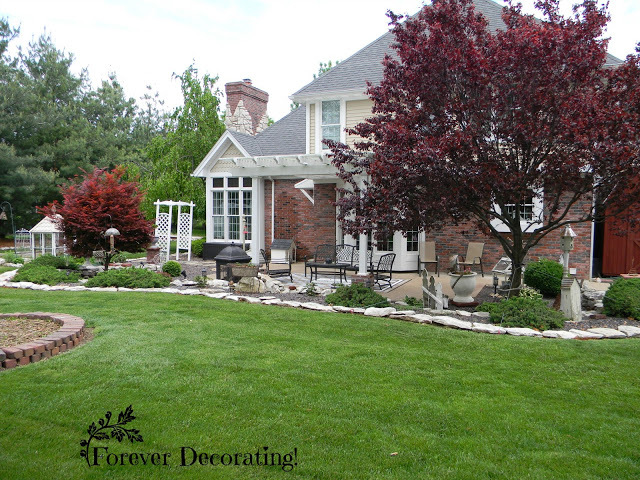 Her blog Forever Decorating is always full of creative ideas. And then there's Julie's BBQ Chicken Naan Bread Pizza. 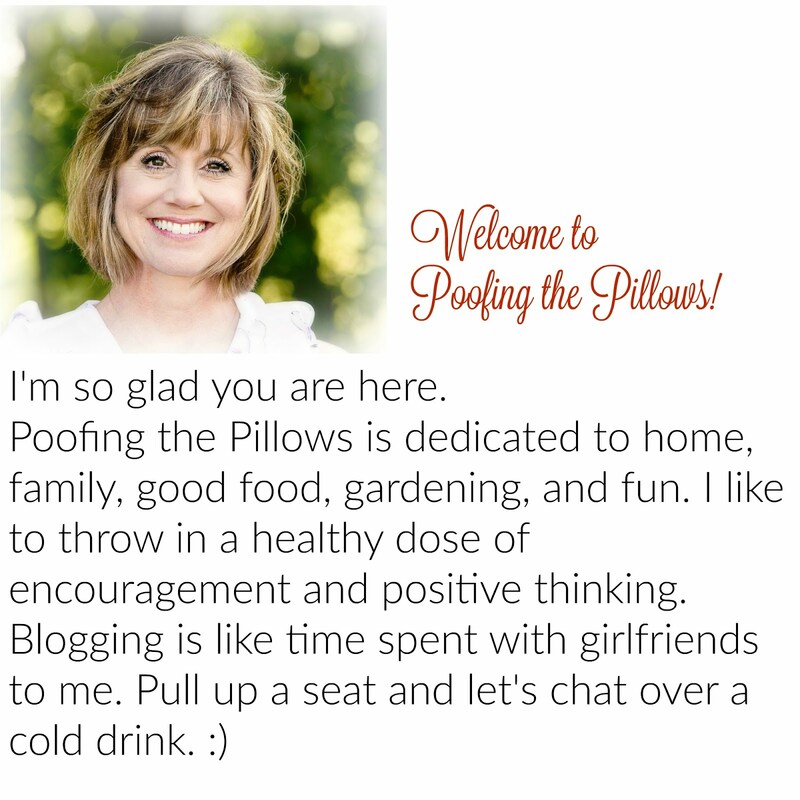 Her blog Live From Julie's House is full wonderful recipes and home inspiration. 2. Share any of your favorite posts, remembering not to link advertising or shops. Stacey, thank you for hosting the linkup. Sarah's floral baskets are gorgeous. Hope you are having a fantastic day and thanks so much for the awesome party! Good morning, Stacey! I enjoyed your post on butterflies, and your photos were so pretty, as well as the message. Thank you for hosting and hope you're enjoying all this rain! I got time to link up before work! Have a great party, Stacey. Thanks so much for taking the time to host this sweet party. It is a good one each week. Thanks so much for hosting and thanks for stopping by!! I was thrilled with the fiesta ware!! Happy Thursday Stacey! Thank you for hosting! I'm linked and off on the hunt! Thanks for hosting again, Stacey! It is nice to be here again, Stacy. I always enjoy looking at all the week's entries. Another great selection. thank you! Looks like some great links to check out today! Thanks for hosting! I just linked up! I can't believe got a post ready. But, seeing your post made me realize that I forgot to mention the Garden Party so I need to go edit it.